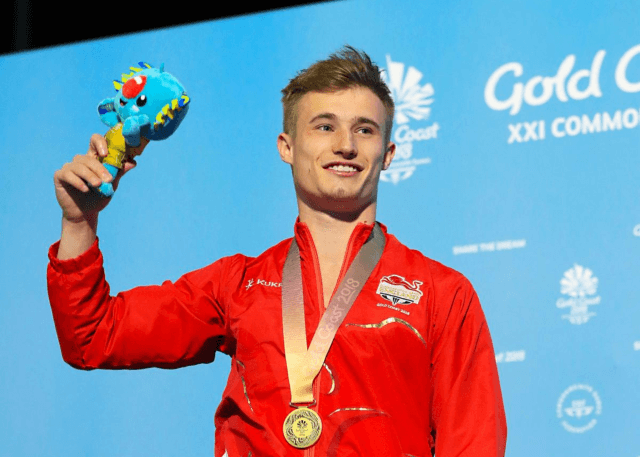 Jack Laugher MBE is a British diver competing for Great Britain and England in individual springboard events and synchronised events with Chris Mears. The pair became Britain’s first diving Olympic champions by securing a gold medal in the men’s synchronised 3m springboard event at the 2016 Rio Summer Olympics. Following this success, Laugher won a silver in the men’s individual 3m springboard at the same Games, becoming the first British diver to win consecutive Olympic diving medals at the same Olympics. Laugher was a double Commonwealth Games champion for England at the 2014 Glasgow Games, a triple champion in 2018, and the first British diver to win two medals at the 2015 World Championships. At the 2018 European Championships in Glasgow/Edinburgh, Laugher won two golds and one silver, demonstrating his continuing prowess as a sportsman and promising great things for the future.